I've entered this card in the #fancyfolds competition at Stampers Art Gallery on facebook. It's a wonderful group that I found via YouTube. This card uses some Prima Marketing papers from a collection by Frank Garcia called Wild and Free. 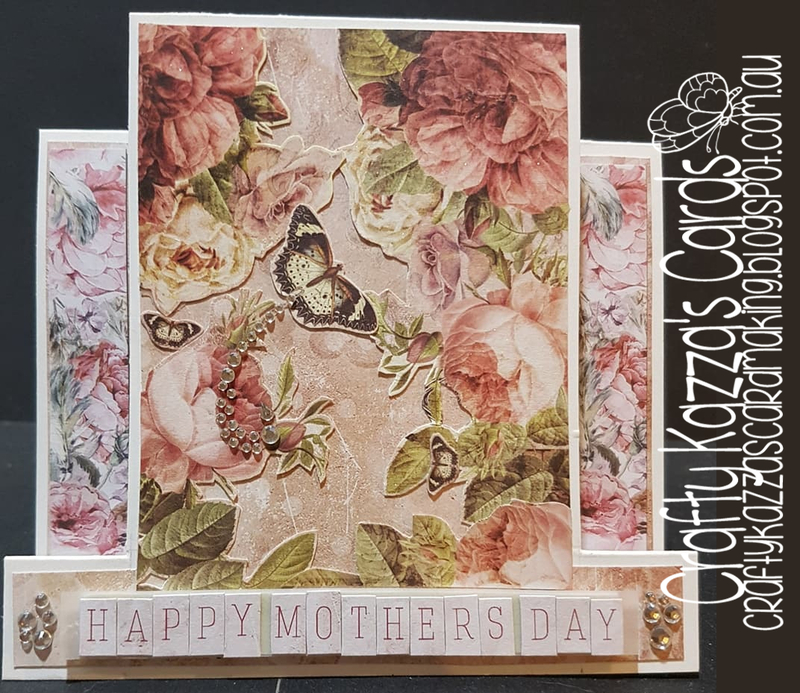 I fussy cut all the flowers etc from the papers and used tracing paper to trace the parts of the card so that I could put layers on there. Thanks for stopping by, sorry I've been so absent. I think from now on I'll just write something short and post pics, otherwise nothing ever gets posted.